We have a full slate of activities facing us for the New Year. 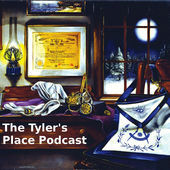 First, as Masons, we should see to it that we try to generate as much interest and response to the edict of Grand Master Ken Nagel and turn out at our Craft Lodges for our various Stated Meetings in February. Secondly, February 9, 2010 is the Grand Master’s Reception at San Jose Scottish Rite, and all brothers are encouraged to attend that event. It is in conjunction with our Stated Meeting, the scheduling of which will be modified to maximize the time and attention we give to the celebratory and ceremonial aspects of the evening. We also have several Nights of Information planned. These events have been gaining in popularity, as we have various authors and scholarly members present research papers on different Masonic subjects. We have many dedicated readers and researchers in our ranks, and Brother Chuck Cowden 32° will welcome any and all who may be interested in sharing their knowledge with the rest of us. 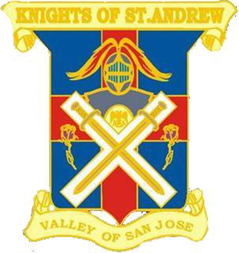 March 28, will be a first for San Jose Scottish Rite, as we will, on that date, confer the Knight Commander Court of Honor award on several nominees from Northern California. Plans and preparations are coming along; the cast has been tentatively selected, and we are well under way to this presentation. Significantly, this presentation will be conferred in an open ceremony, and friends are invited. It is a rare opportunity for non-members to witness such a conferral which, since it is not a recognized degree as such, does not require the trappings of a closed degree, even though it has most of the aspects and appearances of a regular degree. Invite your non-Scottish Rite friends to see this event. Many of us have been concerned that San Jose Scottish Rite over its one-hundred year history, has acquired virtually mounds and mounds of memorabilia, as has any organization that houses a museum, and represents any historic concept. We plan to host a silent (and possibly audible) auction and “White Elephant” sale to try to reduce our accumulation of artifacts, memorabilia, books, and miscellaneous bric-a-brac, and raise sorely needed funds for the support of our charities. So . . . first we need volunteers to help classify, catalogue, prepare, and present this stuff, and secondly, we will need help in publicizing the event, which will be open to the public. We plan to schedule this extravaganza in the fall, so we do have a few months to prepare, but as with all significant events of this sort, early preparation is the key to success. Please let us know if you’re interested in helping out. You have all received a request for donations to the San Jose Scottish Rite Foundation with an explanation of the reasons for such a request. The California Scottish Rite Foundation, if you give to them, will simply accept the donation in ‘Honor’ of San Jose Scottish Rite, and tuck the money in their corporate pocket. The only way your generosity can benefit our work here in the Valley of San Jose is for you to make the donation directly. Please help, if you can. It’s a great time to be a Scottish Rite Freemason, and our doors are always open to new members. Contact your brothers in Masonry and invite them to join.